Grand Bahama may not be as glitzy as neighboring Nassau, but the fabulous and fuss free yacht charter destination offers plenty for guests looking to soak up a slice of the good life. Expect blue sky bliss, lashings of golden sand, colorful marketplaces, and a few well-placed resorts for when you crave fresh seafood suppers, pool lounging, and signature spa pampering. The two main ports of call – Freeport and Lucaya hit that sweet spot between local life and tourist draw. While the major seasons can see cruise ships glide into town, you will mostly find a more relaxed pace and rarely overcrowded feel when soaking up the sights of Grand Bahama. Sitting only 55 miles from the shores of the USA, chartering a yacht to Grand Bahama gives you the chance to discover something dreamy without having to cross endless oceans. Sometimes, picking a yacht charter close to home can deliver ease and comfort without becoming complicated. Those looking for a taste of sunshine cocktails and Caribbean cool will love the fact that Grand Bahama is only a hop, skip and a jump away. 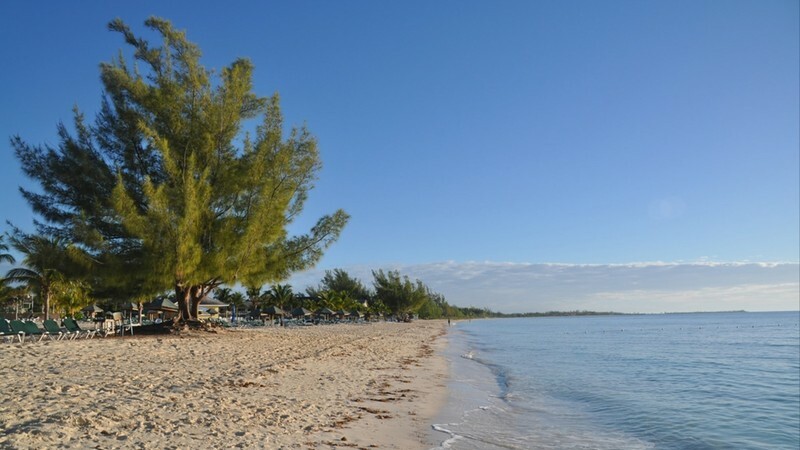 As a yacht charter destination, Grand Bahama is practically horizontal. While neighboring Nassau gets most of the cruise ship foot traffic, Grand Bahama retains her relaxed vibe. The capital city of Freeport hits that sweet spot where tourist and locals co-exist side by side so that you get to experience an authentic taste of island life. Serene anchorages and secluded slips of sand are commonplace, but if you do want a livelier vibe – the resort scene doesn’t disappoint. Divers will be drooling at the promise of sinking down into a fascinating complex of underwater caves when chartering in Grand Bahama. One of the world’s largest underwater caves can be found at Gold Rock Beach. With an opening of 10 x 15 feet, the cave stretches for miles and miles beneath the ground and was once filled with sunken treasure, shipwrecks and lost gold. The currents can be strong and only the most experienced divers are brave enough to take the plunge. After lazy days of hammock swaying, wandering the colorful markets, and kicking back on Gold Rock Beach, those looking to fill those hours after dinner on their yacht charter will adore the fun-fueled nightlife. Sleepy days are followed by lively nights, whether sipping rum and swaying on the dancefloor of Neptune’s Cocktail Bar or catching live music and mingling with locals at the open-air square of Count Base. Yacht charter guests are sure to find Freeport a fun and fascinating place with a local pace. While the daylight hours can be soft and sleepy, the capital springs to life with the stars. Freeport is more where you will find the local way of life as most of the tourist action seems to stick around Lucaya. Still, Freeport has her charm. Natural splendor abounds in the gorgeous green Garden of the Groves, where evocative flora and fauna invite you to duck away from the hazy afternoon heat. Those who want to discover the working cogs of Freeport can visit the local brewery to taste some craft specials or duck into the perfumery to unravel the secret of scents. The Lucayan National Park is one of the most popular reasons to hit the waters and take a yacht charter to the Grand Bahamas. Spanning an area of over forty acres, she boasts a collection of towering pine forests, whimsical little beaches, razor sharp coral reefs, and sprawling wetlands. Gold Rock Beach is one of the most photographed shores in the whole of Grand Bahamas, and for the intrepid traveler there is also the chance to discover the underwater cave complex or to kayak through the dense and delirious mangroves. A slip of silver and blue, Peterson Cay sits down on the southern side of Grand Bahama. The best thing about Peterson Cay is that it is only accessible by boat, greatly reducing the footfall traffic on the silver flash of sands. Snorkeling on Peterson Cay is utterly dreamy; the coral is the color of ripe fruit and the best way to make the most of the remote nature of this spot is to hop in a kayak and seek snorkel spots where you can gaze down to the sandy bottom. 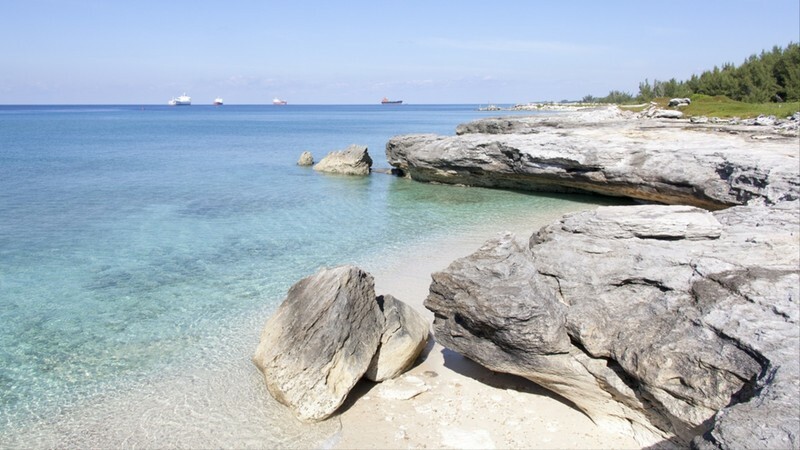 Mid December onwards to mid-April tends to be the best time to hit the shores of Grand Bahamas. While this is the major tourist season, as mentioned, Grand Bahama as a yacht destination isn’t as crowded as other Caribbean islands. During this time, you get the beach soaking sun and the high spirits of being outside of hurricane season. While Grand Bahama does boast balmy year round temperatures, the rains aren’t shy between the months of June and November.